‘Tis the season to be shopping! 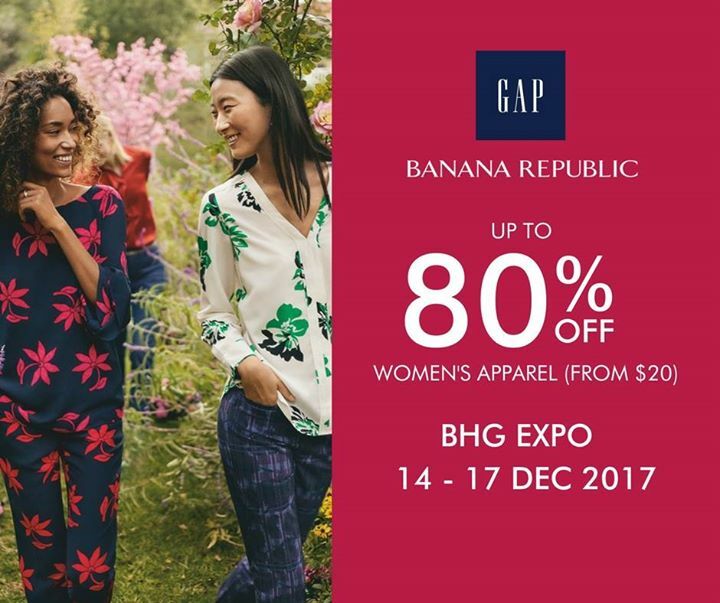 Enjoy up to 80% off on Gap and Banana Republic Women’s apparel. Catch this exclusive 4-DAY only offer from 14 to 17 December at BHG Expo. Next: [Levi’s] Keep it simple and light this Holiday season.